The Alberta Teachers' Association is is rolling out a campaign to distribute 400,000 cards with a picture of a can of sardines on the front and the text: "Classroom sized sardines. Packed in for savings." The Alberta Teachers' Association is putting sardines on the menu during this election campaign. 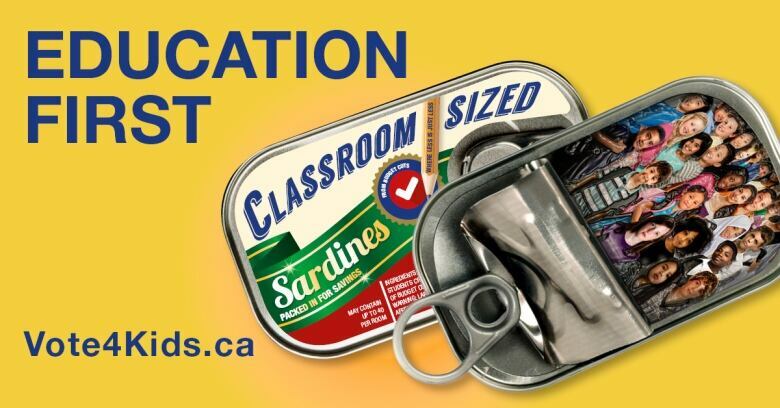 The professional organization representing teachers in the province is rolling out a campaign to distribute 400,000 cards with a picture of a can of sardines on the front and the text: "Classroom sized sardines. Packed in for savings." Peel up one layer of paper and, inside, a picture of kids — packed in tight — highlights the issue of class sizes, which will be a priority for the ATA during the election. Class size is consistently the No. 1 issue for teachers, said ATA president Greg Jeffery. That's why the association chose the sardine metaphor. "You need to build relationships with students and the more students in the class, the harder that is and the longer it takes," Jeffery said. "Students, from time to time, require individual attention. The larger the class size, the less time there is for each student in the class." The sardine cards, which are being distributed by teachers, direct parents and other voters to an issues-focused ATA website called vote4kids.ca. The cards are the first step in a co-ordinated campaign from the ATA in its first year as a registered third-party advertiser. To get its message out, the ATA plans to spend $270,000 on third-party advertising, according to documents filed by the association with Elections Alberta. A third-party advertiser is permitted to spend $150,000 in advance of the election and another $150,000 during the campaign period, according to rules in the Election Finances and Contributions Disclosure Act. Jeffery said Albertans will see and hear more ads roll out in the coming days, including billboards, radio ads, social media ads and videos. "We are hoping to hear strong support for public education," he said. "There is not enough talk about it right now, but we plan to change that." The election advertising is in step with ongoing lobby efforts by the teachers' association. Documents show that in 2018, the organization lobbied Alberta Treasury Board and Finance, Alberta Education, Alberta Infrastructure, the premier's office and the Alberta Legislative Assembly. It lobbied on multiple topics including the budget, curriculum development, collective bargaining and labour, grants for physical fitness, grants to support gay-straight alliance clubs and pensions. Education Minister David Eggen said voters talk to him about education when he's door-knocking as the NDP candidate for Edmonton-North West. "Class size definitely matters, especially in the younger grades," said Eggen, a former teacher. "To have that extra attention when kids are starting to read and do math, it makes a big difference." The NDP government, elected in 2015, pledged to reduce class sizes. However, an auditor general report in 2018 found that government spending to reduce class sizes in the last 13 years had been mostly ineffective. "We look forward to accepting all of the recommendations of the auditor general in regards to focusing class size money on actually reducing class sizes," Eggen said. Mark Smith, education critic for the United Conservative Party, is campaigning for re-election in Drayton Valley-Devon. Smith declined to be interviewed but has said publicly that new funding for education may have to wait until the economy is in better shape. Another advocacy group that will be watching any education debate closely during this election is Parents for Choice in Education. In the past, the group has fought the NDP government on gay-straight alliances in schools. It also believes that students should get public funding if their parents decide to send them outside the public system, such as private religious schools or home schooling. Donna Trimble, executive director of Parents for Choice in Education, said her organization will encourage voters to contact their local candidates and ask about education policies. It will also post election platforms on its website. "Other people may be thinking of the pipeline, or the carbon tax, or any other hot-button issues, but for the people who follow Parents for Choice in Education, education is the platform upon which they will be voting," Trimble said. 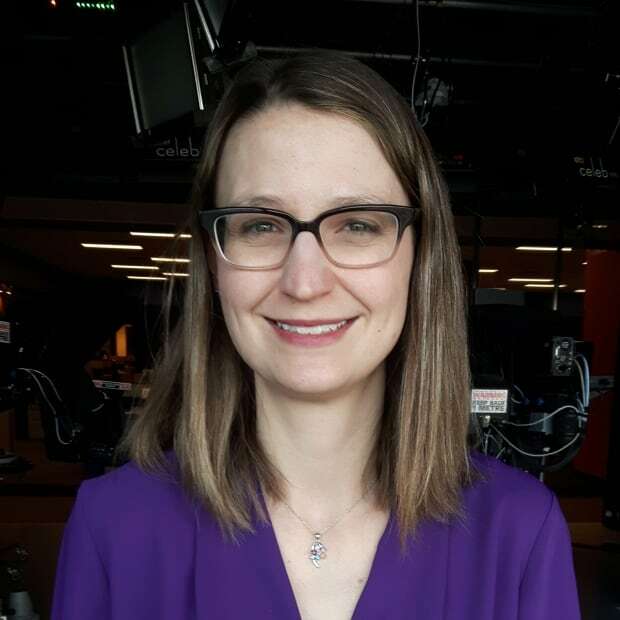 Emily Senger is a journalist with CBC Edmonton.